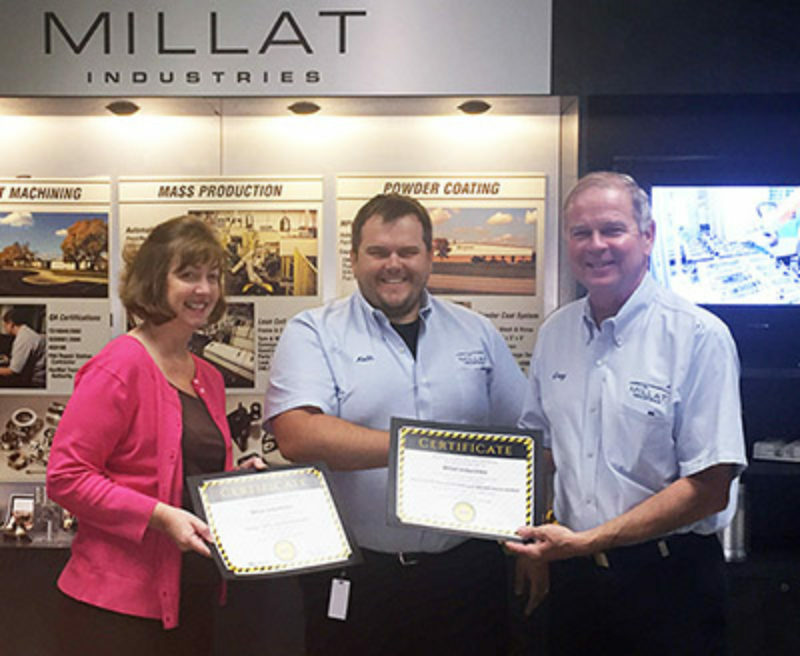 Millat Industries was recognized by the Dayton/Miami Valley Safety Council as the recipient of four safety awards for safety milestones and performance over the last year. Millat Industries received the “Group Award” for the lowest incident rate in our group, the “Achievement Award” for a 25% reduction in incident rate from previous year, the “100% Award” for zero injuries or illnesses resulting in a day or more away from work in the previous year, and finally the “Special Award” for working at least 500,000 hours and 6 months without a lost-time injury. Greg Millat, President of Millat Industries, had this to say about the accomplishments; “This is an exceptional accomplishment. We were the only local recipient of all four awards. Congratulations to all Millat Industries associates!”.